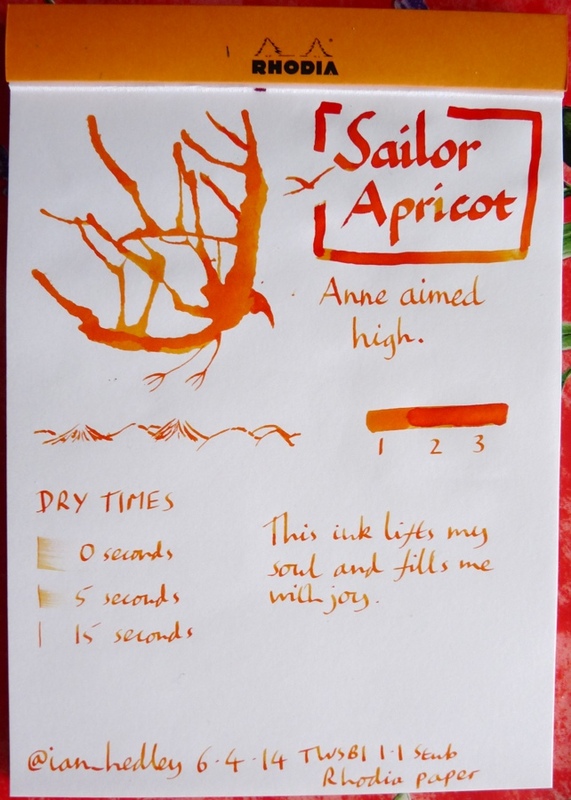 Sailor Jentle Apricot ink review – Pens! Paper! Pencils! Oh my goodness I love this ink. How can you be sad with an ink like this? You can’t be sad and that’s a fact. It lifts my soul and fills me with joy. This ink dries quickly and has wonderful shading. The bottle contains a small reservoir that can help use up the last drops. It’s wonderful. I did this Inkling a while ago and since doing it I have learned that Sailor are discontinuing this ink. This is a shame. 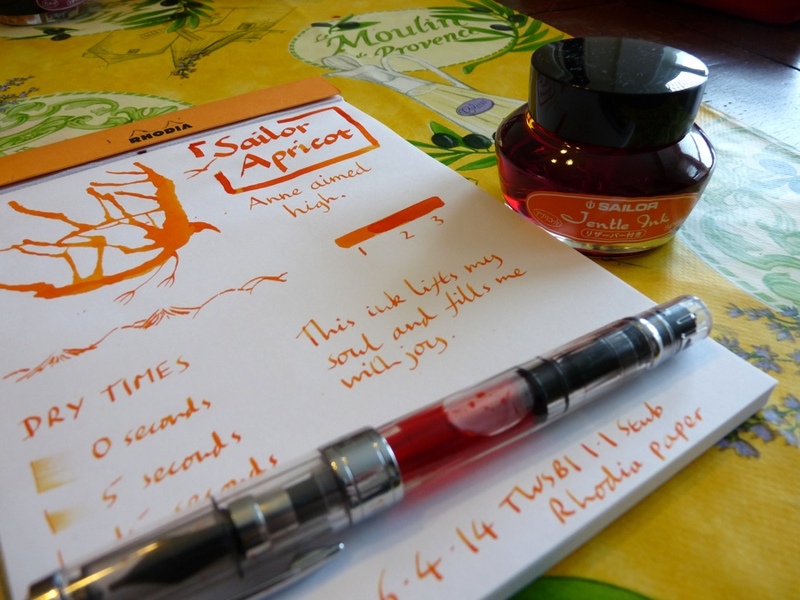 I received this ink from The Pen Company and wrote a different review of it for them here. It is! Grab a bottle while you still can!